(Vigilant Citizen) The killing of an ambassador in Turkey on live television and the attack of a Christmas market in Berlin occurred at a crucial time of year. On December 19th 2016, Donald Trump was officially confirmed as President of the United States by the Electoral College. Media coverage of this event was however eclipsed by attacks that ironically confirm why he was elected in the first place. And these attacks will most likely greatly influence upcoming elections in Germany, France and the Netherlands. A drastic change in political scenery is in the horizon, and it is fueled by fear, bloodshed and rejection of globalism. The assassination of a Russian ambassador on live television and the violent attack of a Christmas market in Germany are events that are not only violent, but charged with intense symbolism meant to shock the public mind. Whether this was coincidental or not, these events occurred right on the brink of the winter solstice a period that is historically prone to blood sacrifices as it is a minor Sabbath in the occult calendar. Before Christmas, there was Saturnalia. On December 19th, the entire world witnessed a live murder, a carefully planned sacrifice. 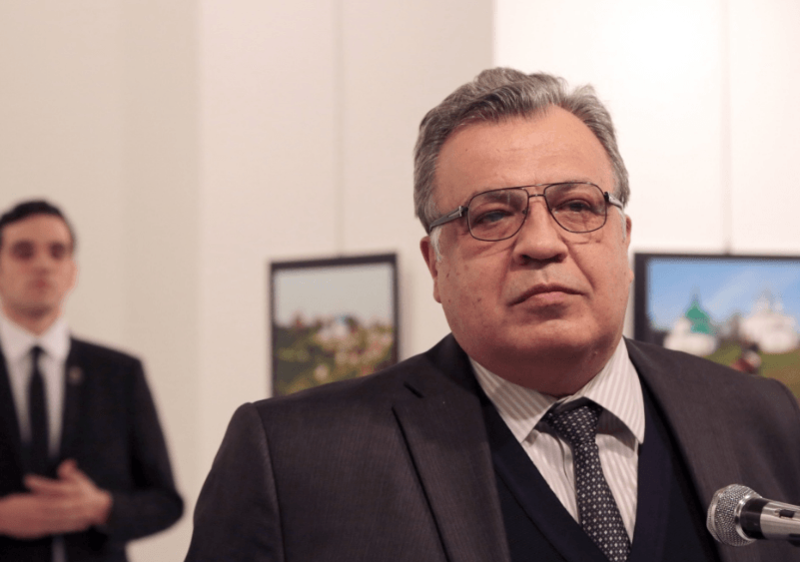 Andrey Karlov, Russia’s ambassador to Turkey was shot dead on Monday evening as he delivered a speech at a photo exposition. 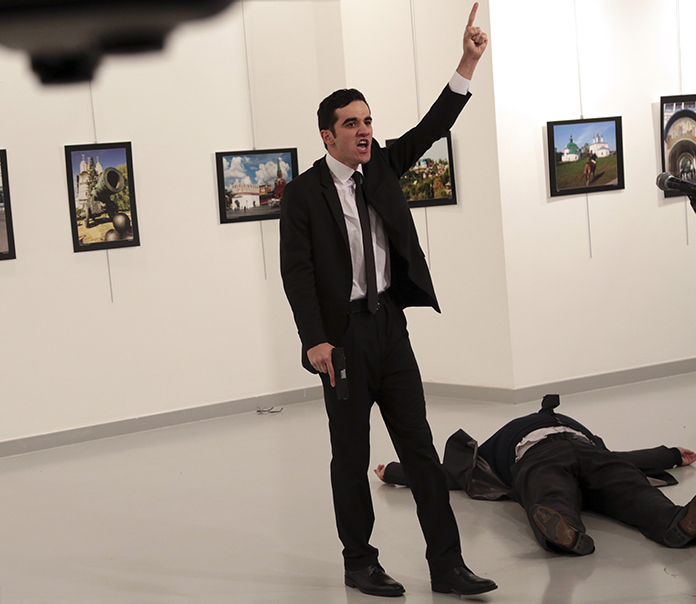 The killer, identified as Mert Altintas, was an off-duty member of Ankara’s police force. The entire scene was extremely surreal because, beyond the violence, it was “visually perfect”. It was a set piece made for mass media. The Russian ambassador with his killer standing behind him, moments before the gunshot. Mert Altintas stood behind the ambassador, wearing a stylishly tailored black suit, which sharply contrasted with the immaculate white background adorned with pictures of Russia. Several gunshots then wring out and the ambassador falls on his back, suddenly lifeless. The gunman then walks around the body, yelling “Allahu Akbar” and “Don’t forget Aleppo” until police finally manages to reach him and shoot him down. As one reviews this surreal scene, one wonders: How was this even allowed to happen? How come this 22-year-old, off-duty cop, who is part of the riot squad, was the only person standing behind Karlov this entire time? Reports are now saying that the gunman refused security check. “The off-duty police officer who assassinated Russia’s ambassador to Turkey refused to go through an X-ray security check before the shooting — but was let into the event anyway, according to a report. Also, all signs point to the attack being ordered from above, Mert Altintas being the proverbial patsy. Turkish authorities suspect that Altintas was under the influence of Fetullah Gulen, a Turkish preacher who is currently based in the United States, in Pennsylvania. He is suspected of being a CIA operative conducting operations meant to destabilize Erdogan’s government. Although some draw comparisons between this event and the assassination that lead to WWI, it is unlikely that the killing will cause significant change. It will most likely justify the Russian-Turkish involvement in Syria. 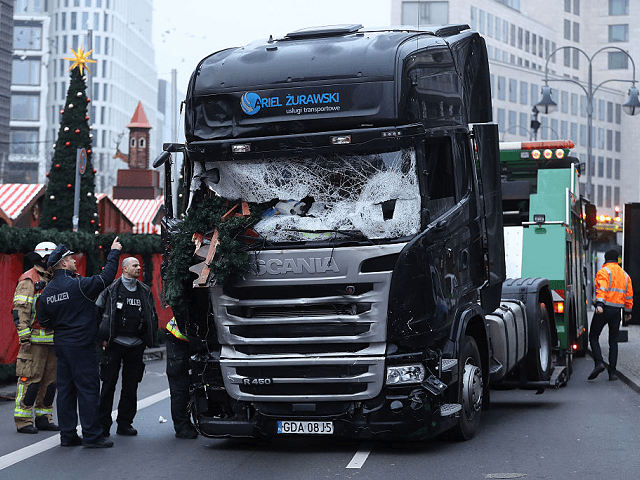 The truck used to conduct the attack with Christmas decorations stuck on the windshield. Sadly symbolic. Around the same time the assassination occurred in Turkey, a horrific attack took place in Berlin killing 12 people and 48 others. This event was also charged with symbolic meaning. It was not simply about killing people, it was an attack on German culture, history and tradition. Christmas markets are a German tradition originating from the Middle Ages where locals shop for various goods while getting into the Christmas spirit. The market that was attacked is situated near the Kaiser Wilheml Memorial church, a symbolic piece of German history. The truck and the wreckage it caused at the foot of the Church. Although not all Germans are religious, the building remains a piece of local history. This bloody attack is therefore custom-built to anger the German population who have to witness a beloved tradition being turned into a bloodbath by terrorists. This anger might very well translate into votes against Merkel (and her open-door policy to refugees) in the upcoming elections. It might also influence the French elections where Le Pen is gaining traction. At the time of writing this article, Berlin police detains a suspect who is said to be a refugee from Pakistan. However, police also stated that they might have the wrong person and that the true culprit might still be on the run. No matter who finally gets arrested, ultimate losers will be citizens who will have to suffer through even more scrutiny, monitoring and surveillance for more “security”. The elite’s motto is Ordo Ab Chao (Order Out of Chaos) and Merkel’s policy brought to Germany great deal of chaos. Now people will crave for order. And that order might come at a terrible price. The two events described above were not only about killing people. They were about sending a message. They were charged with symbolic meaning custom made for mass media and social networks. These events occurred at a sensitive time of the year, the winter solstice, a minor Sabbath, historically celebrated with human sacrifice. Whether this date was intentionally selected or not, the entire world was forced to witness a planned killing, a ritual sacrifice carried out methodically as the killer screamed “God is Great”.